The motion of the heavy constituents of the solid and the solid state properties which are essentially determined by this motion, are the subject of this chapter. 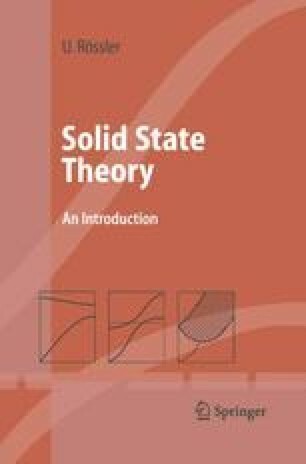 Lattice dynamics is a standard topic in textbooks on Solid State Physics, but there is also a variety of monographs on this subject, e.g. [62–74], of which the one by M. Born and K. Huang , entitled ‘Dynamical Theory of Crystal Lattices’ is the pioneering textbook in this field. The progress in Lattice Dynamics, especially the strong mutual influence between experimental and theoretical investigations, is well documented in the three volumes ‘Phonons:Theory and Experiment’ edited by P. Briiesch [68–70].